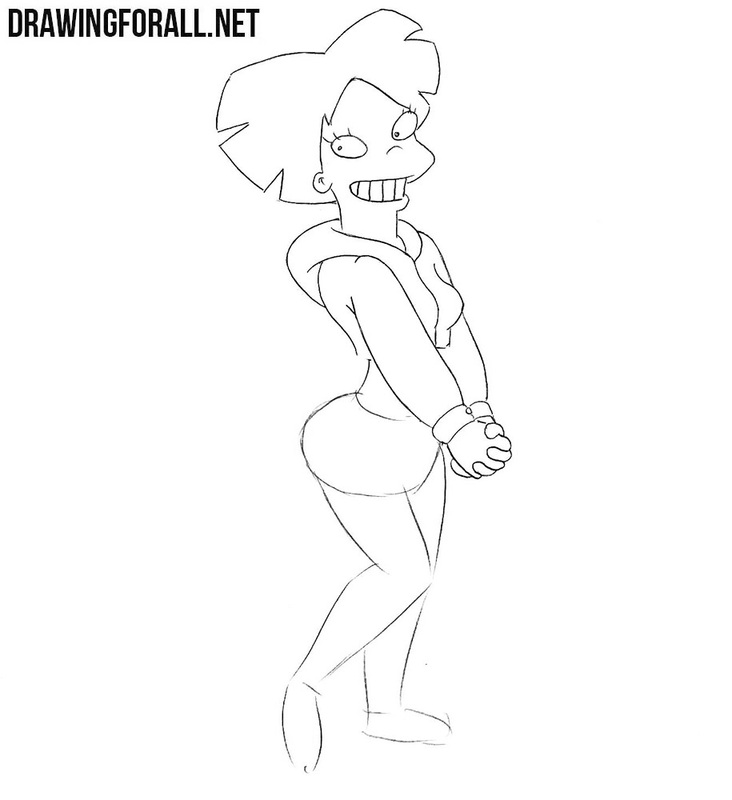 There are several animated series, which are very beloved by our team of artists and editors, among them the great Futurama. 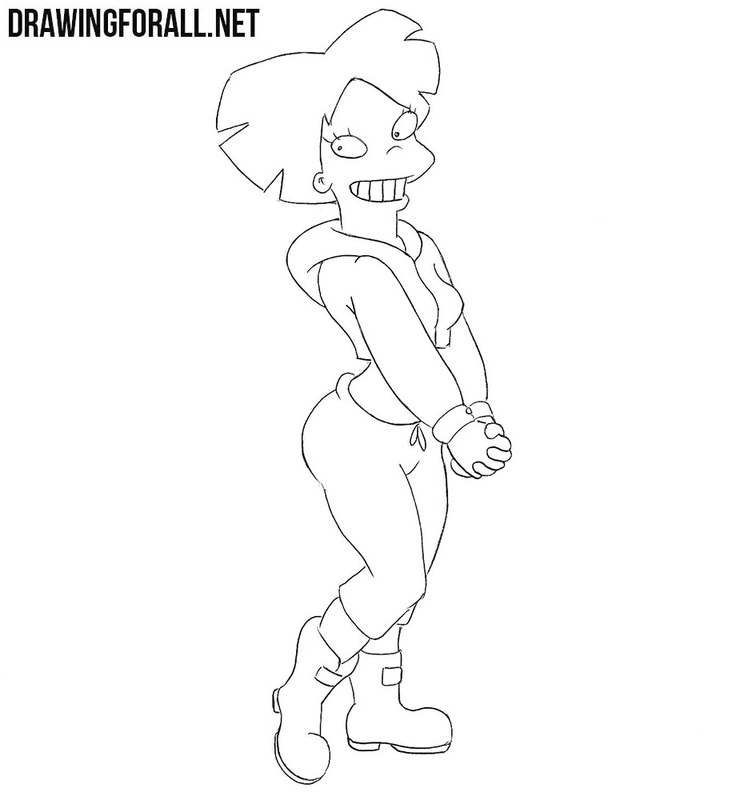 On our site there are already many different characters from Futurama, and today we will continue this topic and show how to draw Amy Wong. 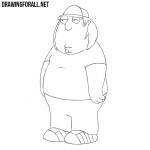 First of all sketch out a round head, outlines of the neck, chest, waist and pelvis. Note that all these deities are drawn with very simple geometric shapes. 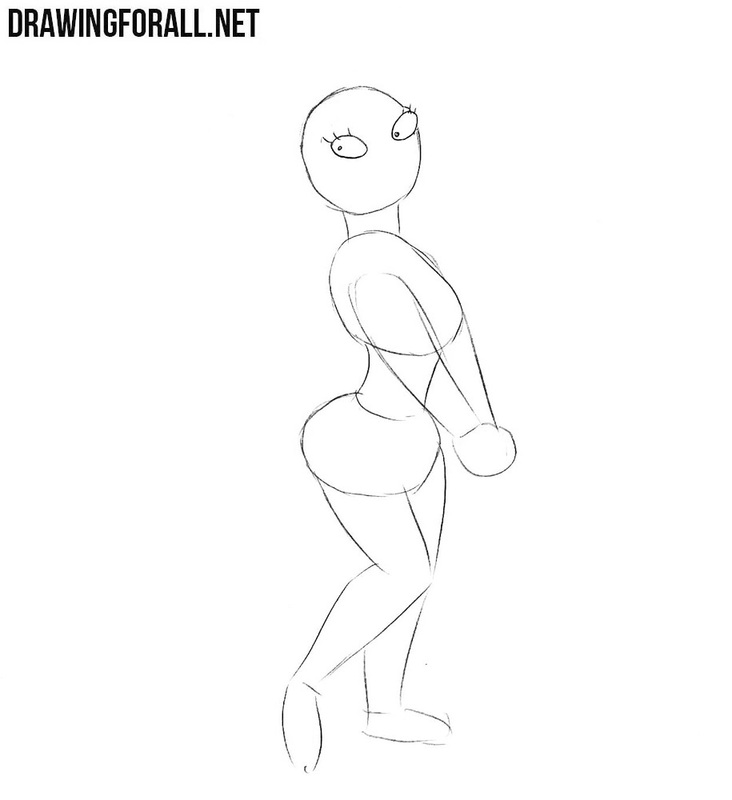 In this step, we need to add arms and legs with simple geometric shapes. Do not forget that the lines should be very light. With the help of clear and dark lines draw out the outlines of almond-shaped eyes. 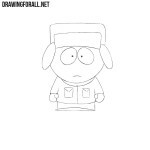 In the same step we draw pupils and eyelashes. We continue to draw details on the head of Amy Wong. 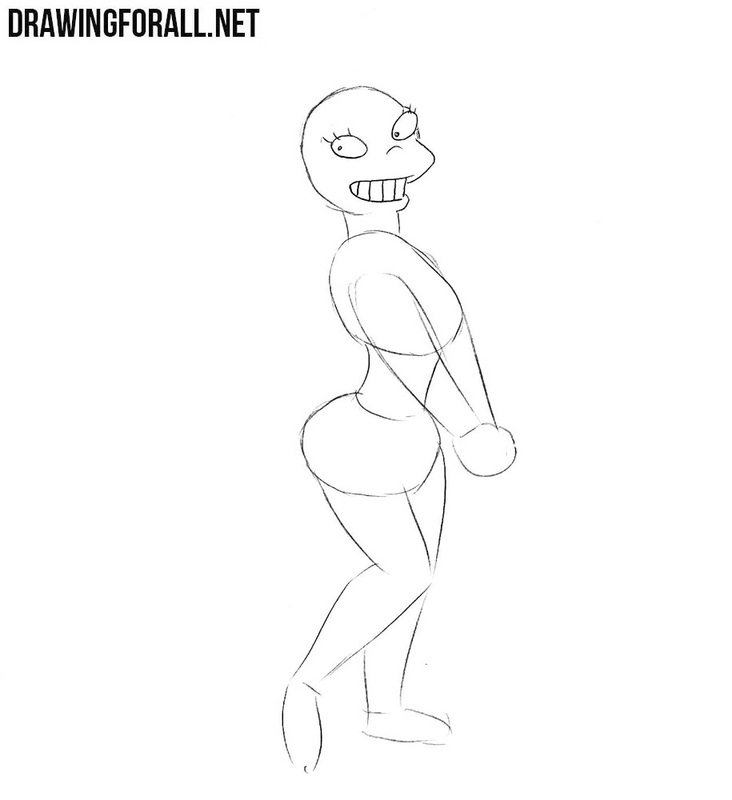 Here we will need to draw a smiling mouth with a row of teeth. 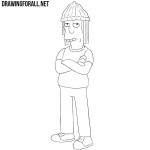 With the help of long and dark lines draw out a very unusual and characteristic hairstyle of our character. 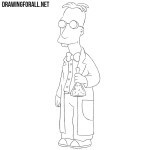 In the same step, we need to draw an ear. 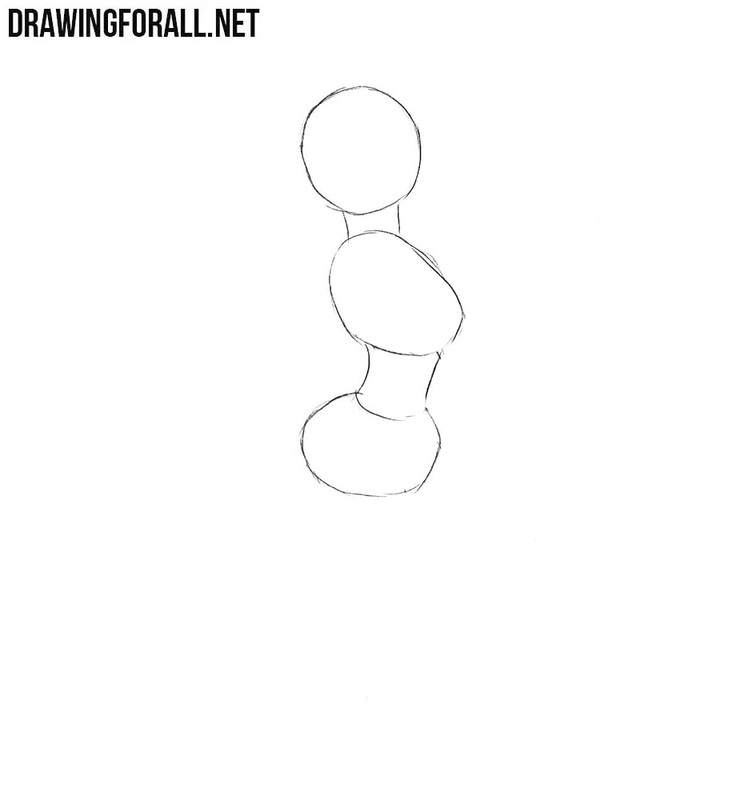 A simple enough step in which we will need to draw out the neck and a hood, which lies on the shoulders. We go down a little lower and accurately draw out the shape of the torso and sleeves. In the same step, we need to draw hands and clenched hands. 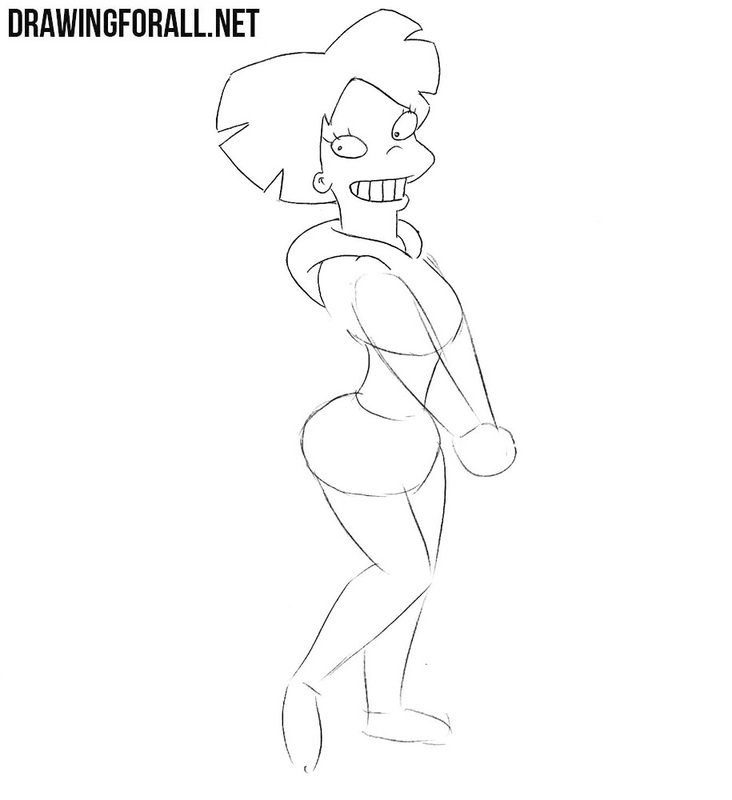 With the help of smooth and clear lines let’s draw the outline of the hips and legs, as shown in our example. And the very last step in which we will need to draw out the lower part of the legs and quite massive boots. And by the way, do not forget to erase all unnecessary lines. 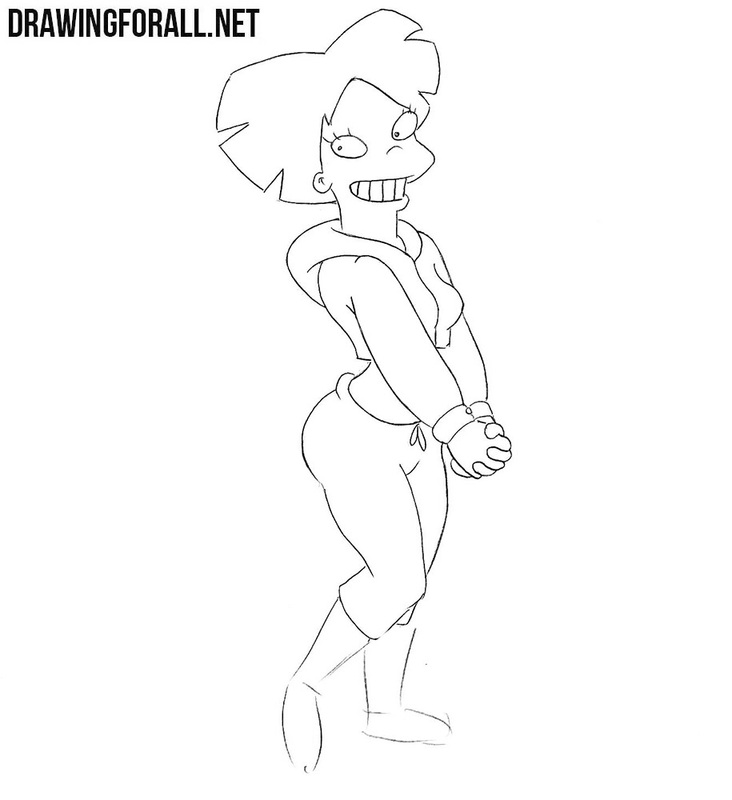 The drawing lesson about the next character from the Futurama universe is now on our website. 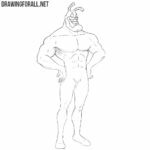 In order to learn how to draw other characters, visit the “Cartoons” category on DrawingForAll, where you will find not only characters from Futurama, but also from other animated series.